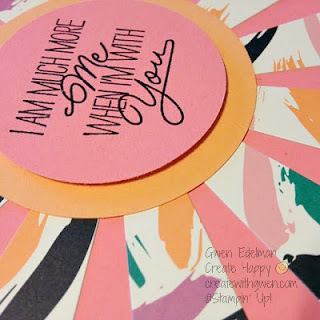 Create with Gwen: Sunburst New In Colors! Yeah, it's been awhile. Crazy days and before ya know it, it's midnight. I really need to play more! Playing with new products is always fun and the new 2016-2018 In Colors are just yummy! 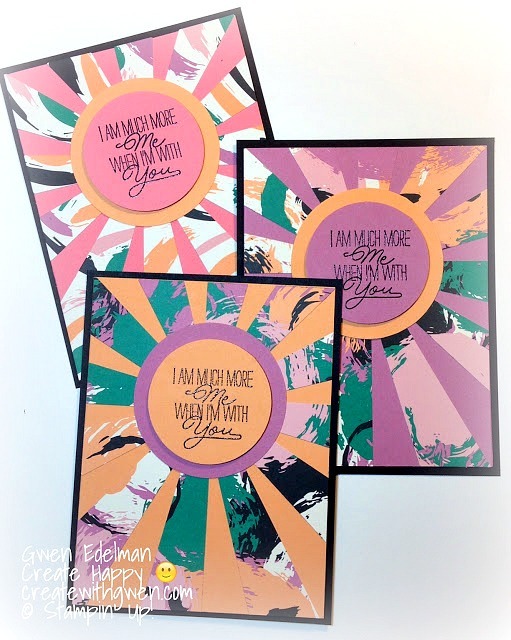 Here are some Sunburst cards I sent to customers as Thank You's for May online orders. And the Sunburst Thinlits Die is in the New Annual Catalog to boot! Playful Palette Designer Series Paper Stack is fresh, colorful and yes, playful! Available June 1 when the New Catalog goes live!